Swinging a hammock and having fun with water showers or garden hose and sprinklers, are best fun activities to be safe in deadly hot weather in summers! As well as we are concerned for outdoor summer sitting and afternoon naps; the terrace, rooftops, paved outdoors and garden are the friendliest places in dead of summer to organize for sitting and sleeping! After chasing the fireflies, hunting the frogs and scouting the garden lizards, your kids may also get tired and the need of some comfy places to rest becomes must to be installed to each outdoor in summers! If you are afraid of that outdoor sitting furniture may take much of your hardly earned money and Inflated and sky-high market prices are just making you feel dizzy! 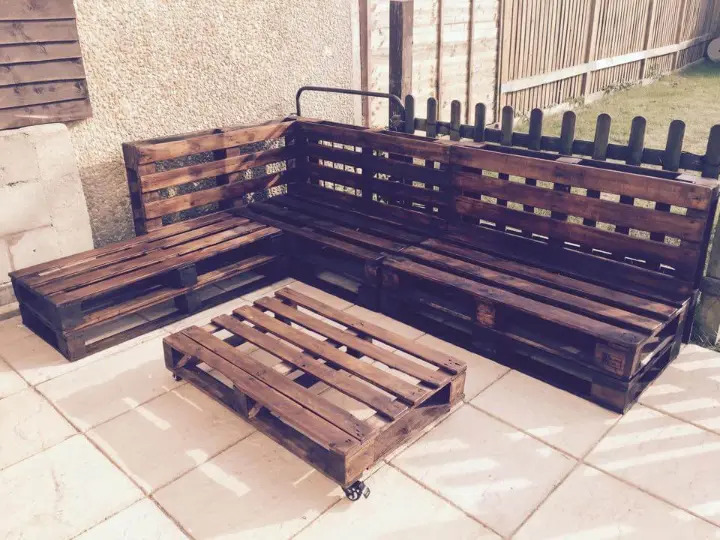 Then get yourself relaxed and start collecting some pallets to go for a complete renovation of your outdoor with amazing sitting plans! 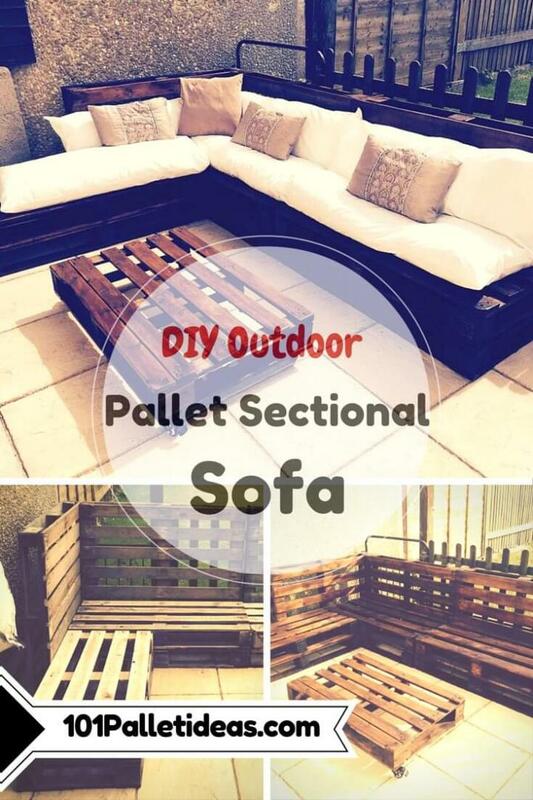 Check this DIY pallet sectional patio sofa which you have always been dreaming about to be with your in summers! Go for simple stacking and arrangements of whole shipping skids and finish them with cushion to get your comfy couch ready for lazy summer afternoons! 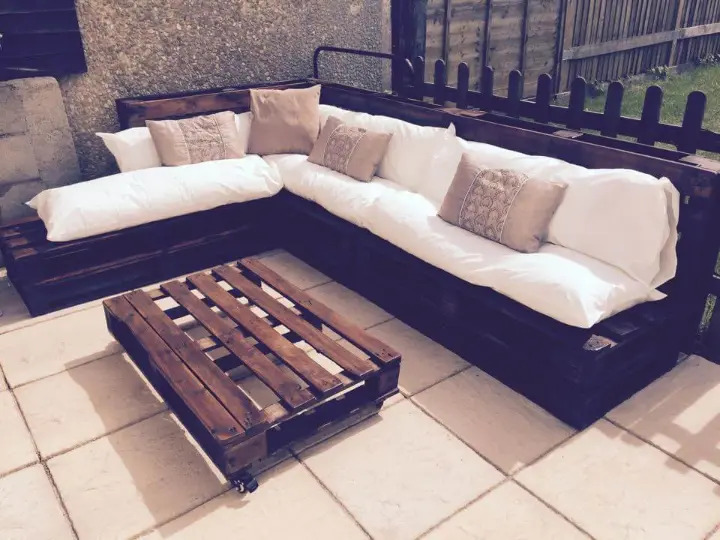 Awesome outdoor sitting organization done at paved garden outdoor, also comes with a DIY one pallet coffee table with vintage cart wheels to be in arm’s reach to your seated fellows and family members to have some snacks and beverage! Inspiration also a big favor to those who want great outdoor venues for summer parties and full all the night! 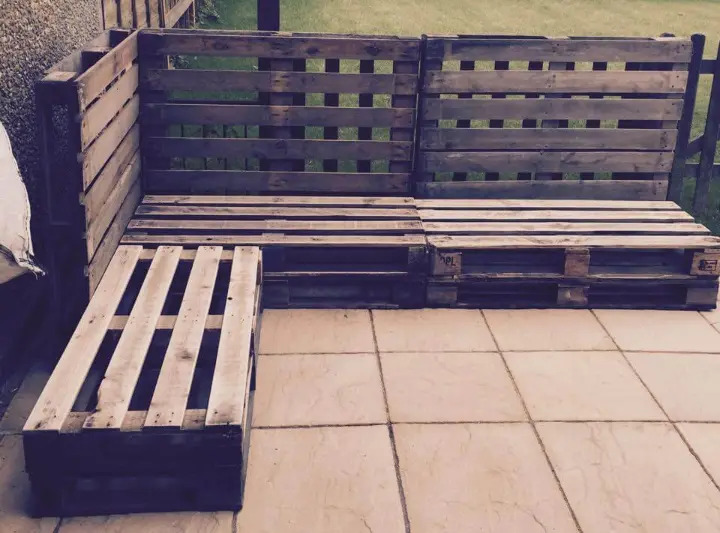 Floor the wooden pallet skids up in L-shape on your paved outdoor and keep on stacking the pallets to create 2 or 3 rows over one another! 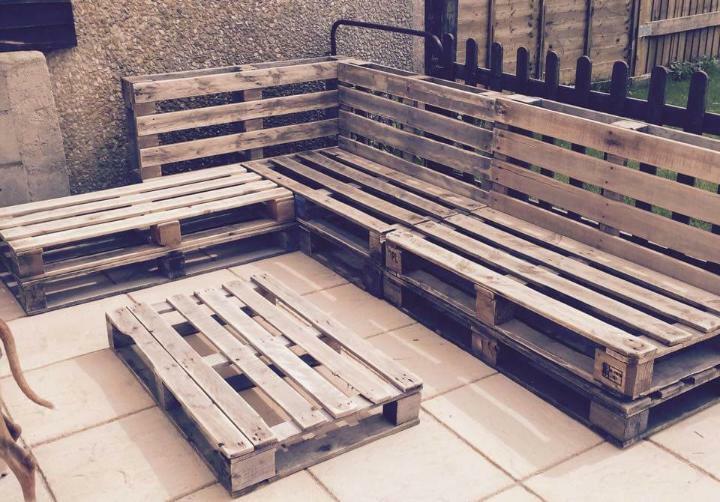 Just stop adding more pallets until you get the perfect height level! Now add some more pallets in upright position to serve you as comfy backrests! Don’t forget to sand the wood properly and also to remove the popped up splinters as they can serious injuries! Last and most important step is how to give a overwhelming finish and complete look to couch! First of all, add a cushion to avoid wooden hardness to bother you and then use the hardware to get all part assembled tight and use also wooden polish or polyurethane for a sleek and semi gloss finish!